When "The Sopranos" premiered 20 years ago, the drama ushered in the new golden age of television, and no one covered that HBO series closer or better than these two writers. “The Sopranos” impact on television cannot be overstated. When it premiered 20 years ago, the drama ushered in the new golden age of television, and no one covered that HBO series closer or better than these two writers. Alan Sepinwall and Matt Zoller Seitz, then the Star-Ledger’s television critics, wrote more, deep columns about the series than anyone. And reading this book proves that they very well may know more about the show than anyone. Theirs is a scholars’ approach to the series, and this is a book for the most serious student of “The Sopranos.” Yet their smart methodology means a casual viewer could just as easily enjoy this. But were there casual viewers of the series? Living in New Jersey, during the run of the series, I always thought if I were a criminal, Sundays at 9 p.m. would have been my time to act. The streets were empty. It’s been more than a decade since “The Sopranos” cut to black, though the series’ power hasn’t faded. Even knowing the series fairly well, I rewatched some episodes while reading this book (research), and remain incredibly impressed by how detailed and incisive Sepinwall and Seitz are. Seitz is at New York magazine now, Sepinwall at Rolling Stone, but for years they covered “The Sopranos” as if it were a calling. Their new book collects, revises and updates that work, includes their stories for other outlets, and in-depth interviews with series creator David Chase shared with them over seven sessions. It’s a deep dive into a fascinating pool. Each episode is analyzed in exhaustive, and sometimes exhausting, detail. Words like “intertextuality” get tossed around. There are the sort of footnotes found in textbooks. But that’s the kind of critical respect “The Sopranos” demands. In fact, the authors write, it looms even larger in retrospect. 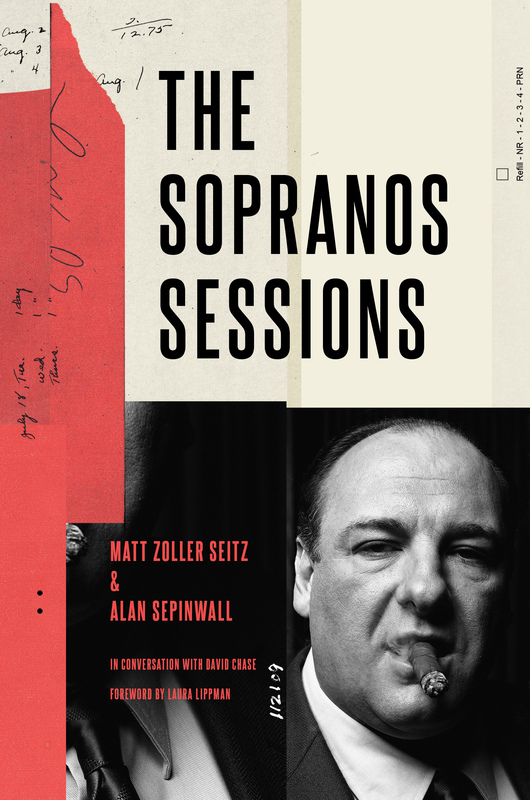 “The Sopranos Sessions” features seven in-depth interviews with series creator David Chase and the intelligent commentary on the series readers came to expect from authors Matt Zoller Seitz and Alan Sepinwall. Twenty years ago, the contributions, and ambitions, of the show weren’t immediately apparent. The cast didn’t disagree. “I like to call it ‘The Gangster Honeymooners,'” Steve Van Zandt offered. But then came the fifth episode, “College,” when Tony takes his high school daughter, Meadow, to explore campuses in Maine. There, he spots a mobster in hiding – an informer who needs to be taken care of, which Tony does, with his bare hands. But that was then. Now it’s a new and drastically altered TV landscape, one in which the rigid concept of heroes and villains has been shattered. And it was this episode of “The Sopranos” that did it. The in-depth interviews with Chase dig into the making of the series. And, of course, address the continuing controversy over its famous ending: Does Tony get whacked in Holsten’s diner, or not? It is David Chase’s least favorite question (rivaled only by “So what happened to the Russian in ‘Pine Barrens’?”) and one he’s so far resolutely refused to answer. Except that Seitz and Sepinwall wear him down a bit here, to the point where Chase makes a Freudian slip about how he saw the scene, and goes on to describe the less-ambiguous ending he originally planned. It’s not a completely satisfying answer, but it feels like the right way to end a book about a series that avoided easy answers. And it provides an insight into the creative process of a truly thoughtful writer. History has already proven him wrong.